A clean and minimal multipurpose landing page elementor template. Because of the fact no heavy imagery is used you can easily use this for any niche and business and customize it as per your need using easy to use elementor page builder. Just like the previous Elementor template for yoga & fitness this template also utilizes elemntor’s awesome features to make it look good rather than using heavy images. 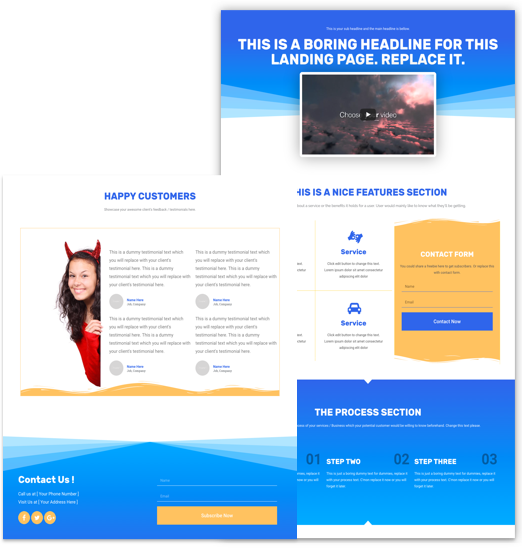 This is a really simple and clean elementor template which you could use for any type landing page. Always try to customize / tweak a little bit to make it your own so you won’t end-up having a similar landing page to others. Note: This template is basic responsive which means that it should look fine in mobile & tablets however you can optimize it further as per your need and make it look even great easily via the elemntor responsive settings. Review All Features of Elementor Pro here. Simple one column section with gradient effect and a shape divider applied to bottom. Note that the video is added to a separate section bellow that and than using negative top margin it’s adjusted on top of the above section. For the services section Elementor Pro‘s Flip box is used with the Hover slide effect and on the right column we have Form module used from the pro as well. There is also a shape divider used with white color on top & bottom on this section which makes a nice effect. This is where you can describe your process ( if applicable ). Gradient effect is used along with a top & bottom shape divider in this section. 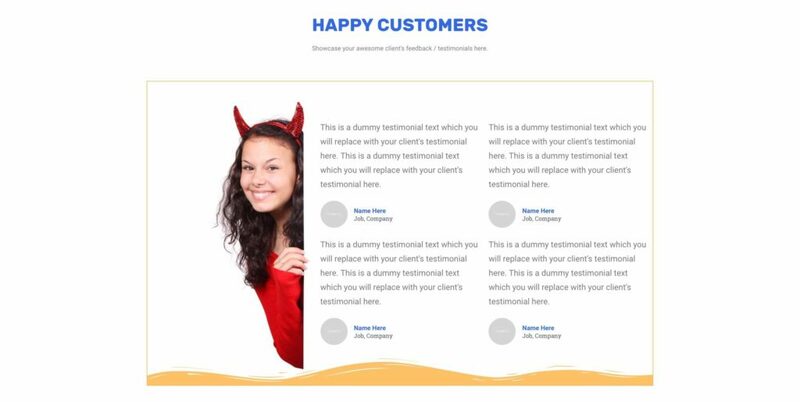 Simple section to present the customer feedback / testimonials nicely. Just added a border and shape divider at the bottom to make it look bit nice & prominent. 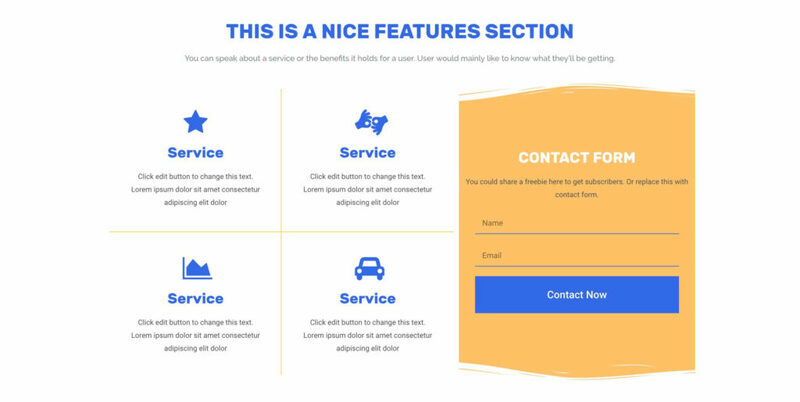 The last footer section is a 2 column layout and the same gradient and shape divider is applied as on the header section. You can present your contact details here on the left and on the right we have an subscribe form to gather leads. Simply download & import the “.json” file in the elementor’s template library and than apply / add it to your page. Note that you must have latest version of elementor + Elementor pro so that you get full template imported perfectly as you see in the demo, if you won’t have elementor pro you may notice missing elements on the page which are done using the pro.